90 day photo project: Orange...ORANGE! 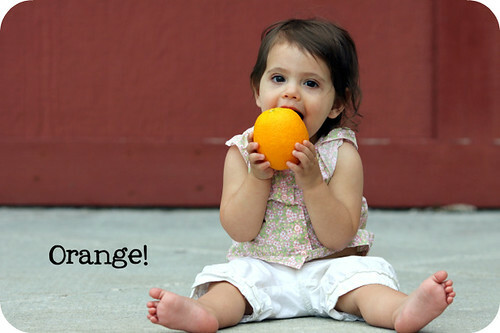 What could play the role of "orange" better than...you guessed it, an ORANGE! Poor Josefine realized not long after this shot, that orange rinds are a little bitter.